The subtly creepy, slyly effective Facebook ads everyone has gotten used to—the ones that show unpurchased items left in the online shopping cart—are now coming to Instagram. To capitalize on the app's ecommerce capabilities, Instagram is introducing dynamic ads to the image-centric platform. The move should help marketers better reach their targeted audience while also helping users see relevant reminders for products they're actually interested in or maybe have even forgotten to buy. According to joint research from Facebook and Instagram, 60 percent of Instagram users say they discover new products on the platform, while 75 percent even say a post has inspired them to take action. And that's also where the audience is—people now spend about 54 percent of their time on mobile using apps. The addition comes on the heels of Facebook's introduction of video carousel ads to Instagram, which allows advertisers to include five short-form videos or a mixture of videos and photos into users' news feeds. "The shift to mobile has created challenges for advertisers because consumer behavior is different," said Matt Idema, Facebook's vp of monetization product marketing. "We can't just use the same tools in other mediums in mobile, and that's particularly true for driving sales." Dynamic ads automate product advertising on the platform by showing people ads that highlight specific or related items they've shown an interest in online. 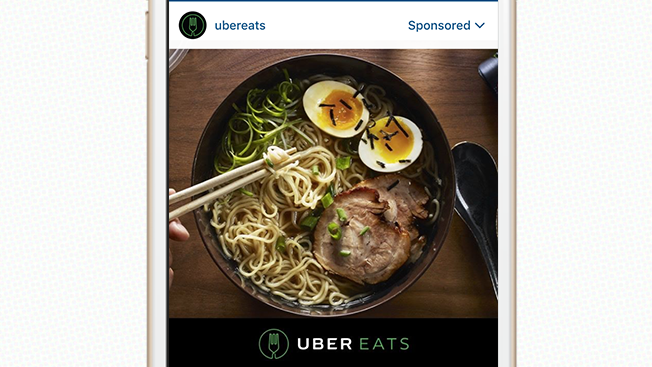 While dynamic ads are new to Instagram, they've been available on Facebook since February 2015. In fact, 2.5 billion unique products have been uploaded into Facebook's advertising system, which is done by placing a marker on a product's web page that can then be included in the targeting setup in a campaign. If a person visits a website while logged in to Instagram, the campaign will know and can adjust accordingly, showing one person a pair of red shoes while showing a different person a braided belt. In the past few months, around 440 million people have seen dynamic ads on Facebook, Idema said. And they're reportedly highly effective. For example, Canadian jewelry retailer Jewlr—one of the first brands to try dynamic ads on Instagram—has seen a return on ad spent three times what it's put into a U.S.-targeted campaign. Along with retail, Facebook is also introducing dynamic travel ads, which allows hotels, flights and tourism organizations to target users with ads for locations they might be interested in visiting. Marriott Hotels is one of the brands interested in trying dynamic ads on Instagram. The brand has already seen pay-off by using the ads on Facebook, generating $20 in revenue for every dollar spent. "Facebook's Dynamic Ads for travel allow us to target our messages in the right context across devices with both scale and precision," said Marriott's global marketing officer, Karin Timpone. "We jumped at the opportunity to be 'first' in our industry and to evolve our messaging from a single transaction to an ongoing guest relationship that drives deeper engagement." How do all these new ads affect the ad load on Instagram? Idema said it doesn't, explaining that the features instead help make the ads more relevant. "The whole thing is really about scale and optimization," Idema said. "Both for the right products shown to the right person and as a result right the right ROI for advertisers." Despite the better retargeting capabilities, advertisers will need to make sure they are creating content for Instagram that's appealing, rather than merely repurposing photos on marketers' websites for the platform. The issue has been a question since last summer, when Instagram opened its API to all advertisers, causing some to wonder whether Facebook's initial promise of maintaining glossy, magazine-quality ads would be possible if advertisers are policing themselves. Idema said Instagram is working with advertisers to share tools during a campaign so they can see what's working and what's not. "Our philosophy there is to give them information they can use to understand how the creative is performing," he said. To coincide with the launch, Facebook will also now allow brands to build custom audiences based on marketers' website traffic. By utilizing device-specific website analytics—insights such as frequency of visits, time spent on various pages, relevant dates, total amount spent—businesses will be able to understand which visitors are the most valuable. One such advertiser using this feature is The New York Times, which has used custom audiences to decrease cost per subscription by 25 percent while more than doubling the value of subscription conversions. More marketers are trying to figure out their ecommerce game. According to data collected by Econsultancy and Oracle Marketing Cloud, 40 percent of client-side marketing respondents worldwide plan to increase investment this year in conversion and optimization tools—a slight uptick from 39 percent last year. On the other hand, those investing in retargeting actually decreased, falling slightly from 36 percent last year to 35 percent this year. A lot of advertisers seem to be interested in trying to use Instagram to drive sales, said Debra Aho Williamson, a principal analyst at eMarketer. However, she said retargeting ads is an ongoing challenge across the web. "To the extent that Facebook can build a better mousetrap when it comes to retargeting that's going to be really successful," she said. "I don't know that they have yet, but they certainly have enough data at their disposal to make it better for consumers." However, it's by no means a perfect trap. Williamson said the direct response approach that some advertisers take does still feel strange for the medium. And if ads increase in relevancy even while the ad load doesn't increase, that could potentially drive up the price of ads on the platform. Retargeting can be a very good thing or a bad thing, said analyst Rebecca Lieb. Facebook has a lot of data about the user experience, she said. The company watches what users say and what they do, which Lieb said will be used to help adjust the experience in ways that's optimal for both users and advertisers. "Retargeting can be a good instrument but it can also be a blunt instrument," Lieb said. "One retailer can target you for a good long time after you've already made that conversion—just not in their platform. And that can sully the user experience."